The 55-year-old from Aylesbury in Buckinghamshire aims to complete a 1,500m swim, a 40km bike ride and a 10km run every day for over three months, including Christmas Day. 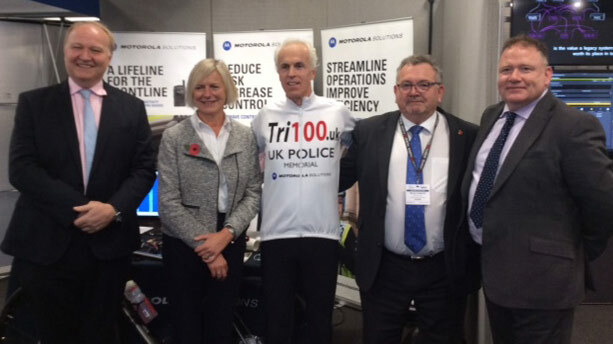 Mr Lander starts his epic challenge next Wednesday, 31st October from the Association of Police and Crime Commissioners and National Police Chiefs’ Council Conference at the Queen Elizabeth II Centre in Westminster. Commenting on the biggest challenge of his life, Mr Lander said: “The UK Police Memorial is very dear to my heart. In 1984 when I was a serving police officer with West Yorkshire Police, one of my colleagues Sergeant John Speed was shot and killed outside Leeds Minster, whilst on duty, when he went to the aid of a colleague. The 100 Day challenge will see Mr Lander swim almost 100 miles, cycle for 2,500 miles and run for over 600 miles. He has previously taken part in more than 30 triathlons over the last decade, and represented Great Britain in his age group at the 2014 Triathlon World Championships in Canada.